Since 1946, Joslyn Manufacturing has been developing reliable procedures and standardized processes to provide top-quality thermoformed products. We constantly review and upgrade our operations to ensure they meet the highest standards in manufacturing. ISO 9001:2015. We uphold the highest quality management principles, including customer focus, continual improvement, factual approach to decision making, and mutually beneficial supplier relationships. UL Certified Molder. 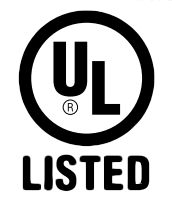 We adhere to all UL standards for creating products from polymeric materials—and clearly and accurately identifying each material used. In addition to our certifications, Joslyn is involved with a variety of industry associations. Owner Bret Joslyn is proud to hold the chairman position for the Society of Plastic Engineers (SPE) - Thermoforming Division.